This scene provide a view of Florida Avenue. 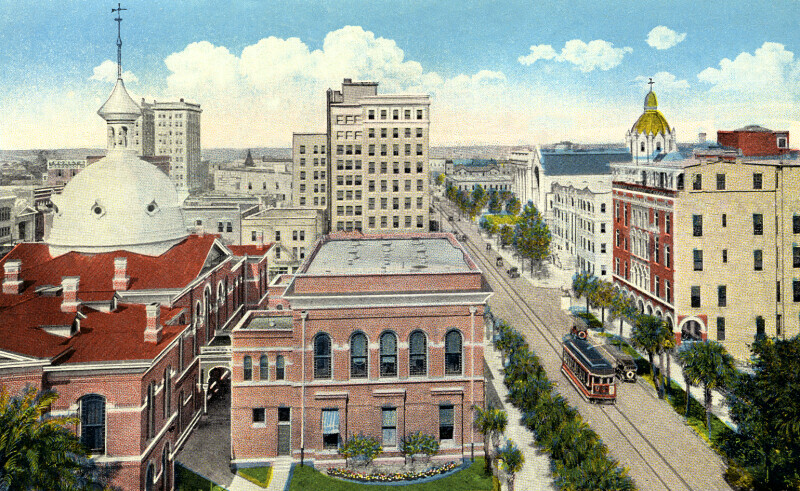 To the left, the distinctive silver dome of the Hillsborough County Courthouse can be seen. The Bay View Hotel is the ten story building in the center, and the Church of the Sacred Heart is on the right. There is a streetcar traveling along Florida Avenue.